Heng-Jin Park, founder and the Artistic Director of Halcyon Music Festival has been heralded as a “pianist of unusual artistry and musical imagination,” by the Washington Post. Richard Dyer of the Boston Globe also wrote of Ms. Park, “A centered musician with uncommon control over the sonorous possibilities of her instrument; she plays boldly with a full spectrum of colors.” Ms. Park is renowned for her versatility as a soloist, chamber musician, pedagogue, and music director. Ms. Park started playing the piano at age 5, and made her solo debut with the Boston Pops in Symphony Hall at age 15 performing the Schumann Piano Concerto. She has had return engagements with the Boston Pops, and has also made concerto appearances with the Boston Classical Orchestra, Boston Philharmonic, New England Philharmonic, L'Orchestre Symphonique Française, and many others. She has given solo recitals in Boston’s Jordan Hall, Alice Tully Hall, the Library of Congress, Ambassador Hall in California, and the Gardner Museum in Boston, as well as concerts in Canada, France, Switzerland and Korea. Ms. Park has also been featured in the Boston Celebrity Series. A passionate chamber musician, Heng-Jin Park is the founding member and current pianist of the Boston Trio. With the Boston Trio Ms. Park has performed internationally in some of the most respected concert series and venues, including Carnegie Hall, Jordan Hall, Ozawa Hall at Tanglewood, Merkin Concert Hall in New York, Sanders Theater, UCLA, Cape Cod Chamber Music Festival, Sanibel Festival in Florida, Detroit Pro Musica, Chamber Music Society of Williamsburg, Rockefeller University, and Kolarac Hall in Belgrade, Serbia, Rockport Chamber Music Festival, and Univ of Winnipeg, Canada. The trio has been in residence at the American Academy of Arts and Sciences and at the New England Conservatory Preparatory School. Outside of her work with Boston Trio, Ms. Park has been a guest artist with First Monday Concert Series in Jordan Hall, Maui Classical Music Festival, Andover Chamber Music Series, the Boston Chamber Music Society, Boston Musica Viva, Music at Eden’s Edge, Market Square Concerts in Pennsylvania, the University of Kansas, Penn State, Park University in Missouri, ArtMusic Concerts in Dallas, and the Walden Chamber Players. She has collaborated with such artists as the Borromeo String Quartet, the Fry Street Quartet, Abel Pereira, Wendy Warner, Martin Chalifour, David Hardy, members of the Ying Quartet, Peter Stumpf, Ronald Thomas, and Andres Diaz. Ms. Park has made numerous appearances on WGBH and other NPR stations around the country, and she has recorded for Albany and Centaur Records. In addition to her performing activities, Ms. Park enjoys an international reputation as a pedagogue of both piano and chamber music. As an Artist-in-Residence at Harvard University, she received the university’s Certificate of Distinction in Teaching award numerous times. 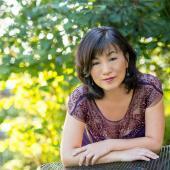 Ms. Park is also an affiliated artist at MIT and a faculty member of the New England Conservatory Preparatory School. She has taught at Tanglewood Music Center and the Walnut Hill School, and gives frequent master classes worldwide. Born in Korea and raised in the Boston area, Ms. Park studied with Leonard Shure and Russell Sherman at the New England Conservatory. While receiving her Bachelor and Master Degrees at NEC, she won a number of awards and prizes including the Tourjée Grant for graduate study and the Frank H. Beebe Grant for study abroad. She also worked with Marie-Françoise Bucquet at Conservatoire Nationale Superieur de la Musique de Paris. She currently resides in Cambridge, Massachusetts.